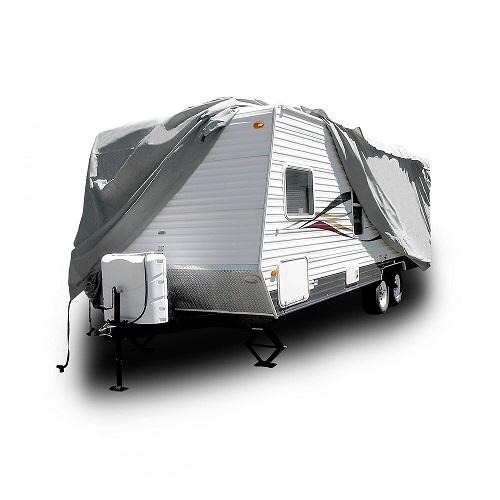 Elite Premium Camper Cover fits Camper up to 35'6"
This Elite Camper Cover fits campers up to 35'6" long. 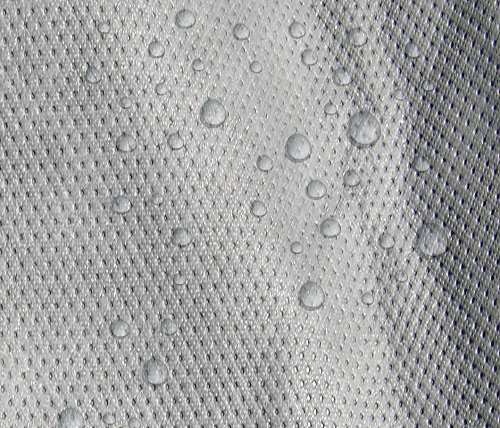 It is made up of a 4 layer 100% waterproof top panel and 2 high performance Polypropylene side panels. This combination is ideal for the high moisture climates we find all across the US and Canada. This cover is designed to handle harsh elements like rain, snow, tree sap, bird droppings, and other dirt. It is completely breathable and treated for U.V. protection against the harmful effects of the sun and heat. 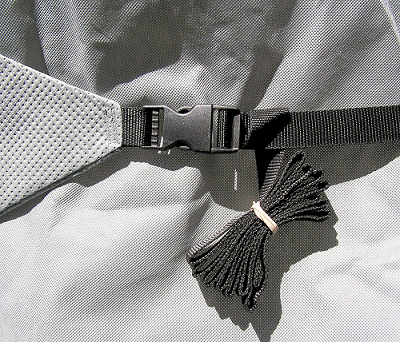 There are strap and buckle attachments to help prevent billowing. 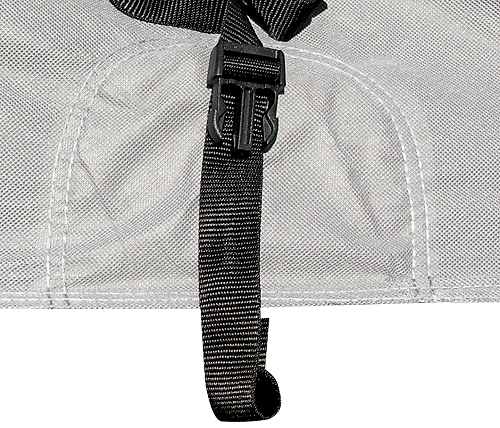 The cover also has reinforced, elasticized corners with straps and buckles. 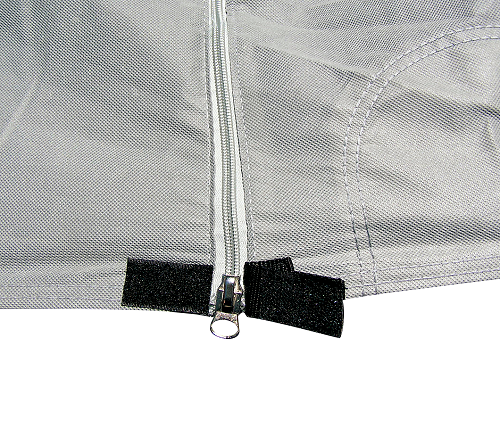 A front and rear cinching system is also in place to help with loose fabric. 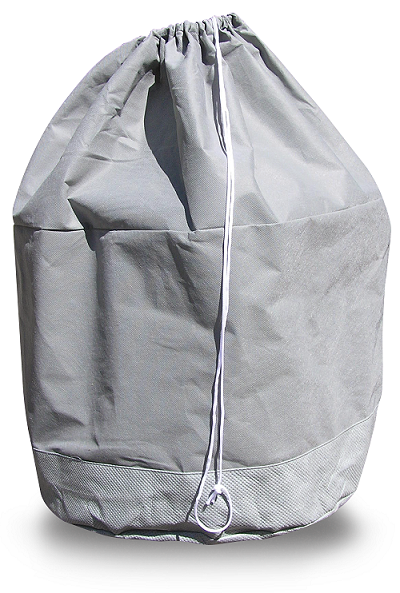 Completed with zippered access panels, a FREE Storage Bag and a 2 YEAR WARRANTY! Available in Grey. The cover dimensions are 35'L x 8'6"W x 8'6"H.